Right, it’s time for change. As an hr manager, you’ve been feeling the traditional performance management processes are no longer adequate to engage and retain your talent. After reading into the topic of talent enablement and having heard many success stories, you want to direct your organisation in this direction too. But how do you persuade your top management this change is necessary? Look at the current business priorities. Most likely, one or several business priorities are linked to customer centricity or agility. Take a closer look at them, for example by organising a brainstorm with some of your hard to convince top management members. You’ll quickly see that a large percentage of all ideas related to agility and customer centricity beg for an improved employee experience. Case in point! This will definitely help you put your project right there on the top management map. Initiate a 'state of affairs' of HR. To build your case, rely on the oldest trick in the book: facts and figures. There’s a good chance your organisation already has a lot of data available on topics as average tenure, engagement surveys, exit interviews, Glassdoor reviews… Combine this with employee interviews to find out what HR’s priorities should be according to them. By specifically focussing on performance management you will able to find out a lot: Is personal development properly being supported by the organisation? Is the current appraisal system being perceived as fair? Does the way performance and pay are linked make sense? Do managers feel like this is a value-adding process in their team? Have they received the proper skill training to do this effectively? You'll quickly see a project emerging to revamp your talent management. Create your internal champions, but work with the managers you already have. Maybe you can convince them to pilot in their business unit. Get other managers on board. Work with the positive vibe you're creating with them. Involve the naysayers only when they're ready. After some time, they will feel excluded, and will have to follow suit. Don't start rolling out to the whole organisation if you haven't got the backing from some of the most visible management team members. Do you want more in depth information on this topic? 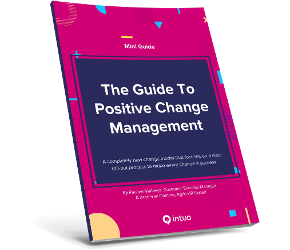 Download our Change Management Mini Guide! Talk to your colleagues, take interviews and attempt to find commonalities in the answers provided: Are there any generational differences? Does the answer depend on the employee's level in the organisation? Are there notable differences between offices, departments and teams? Dig a little deeper in case you do find this kind of demographic differences. What is the underlying root cause? Is each generation on the work floor expecting a different relationship with their manager and employer? Is there a variation in the evaluation system across various levels in the organisation? Do some managers manage to get more out of this process than others? There are two options on how to bring this to the table. Firstly, you could do several months worth of work behind the scenes and compile all the info you’ve gathered in a hefty business case. You can be sure this will blow away the other board members. However, people are naturally reluctant to change so be sure to reflect whether this will lead to the best results! A second option is to plant a little seed in the minds of your fellow decision makers, feed it regularly, and you’ll see it grow by the day. Spread out your experiments, interviews and measurement over time and discuss intermediate observations or results with your colleagues. This allows your colleagues to think about your current talent strategies critically in their own way, and form their opinion which you can then discuss in a group. The alignment this creates will allow you to get everyone on board quicker and make a decision supported by everyone!